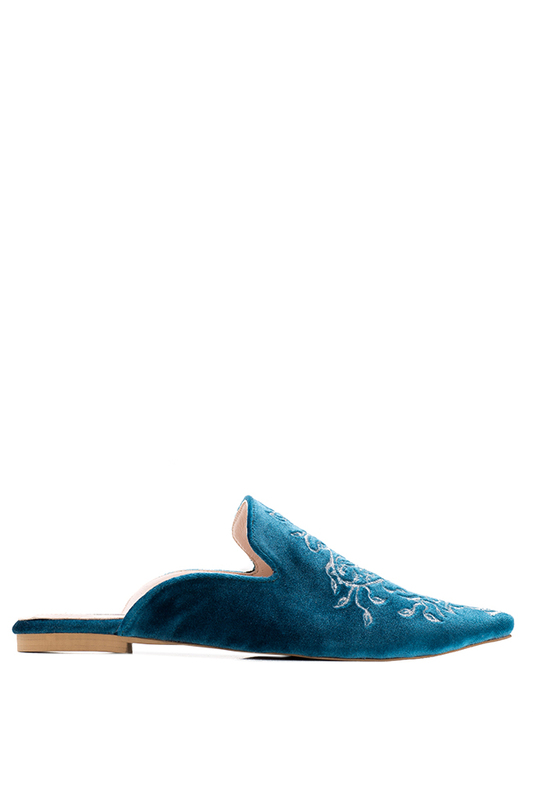 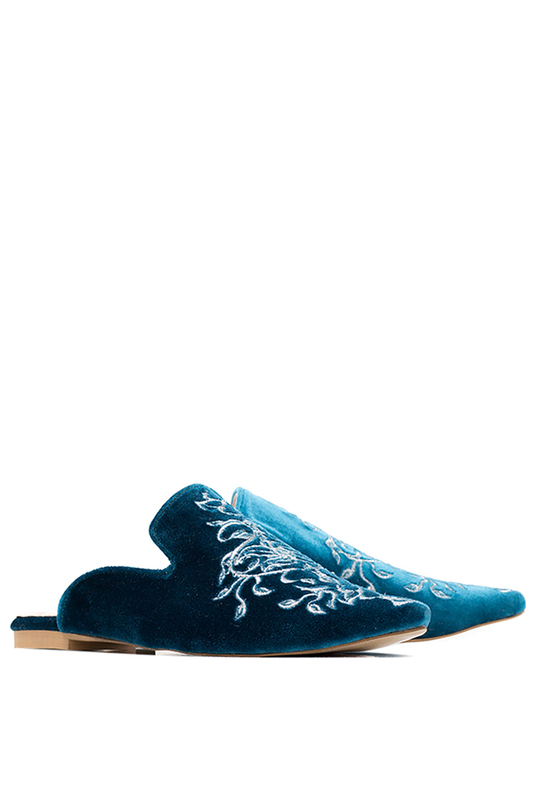 Ana Kaloni's flats have been made from embroidered velvet. 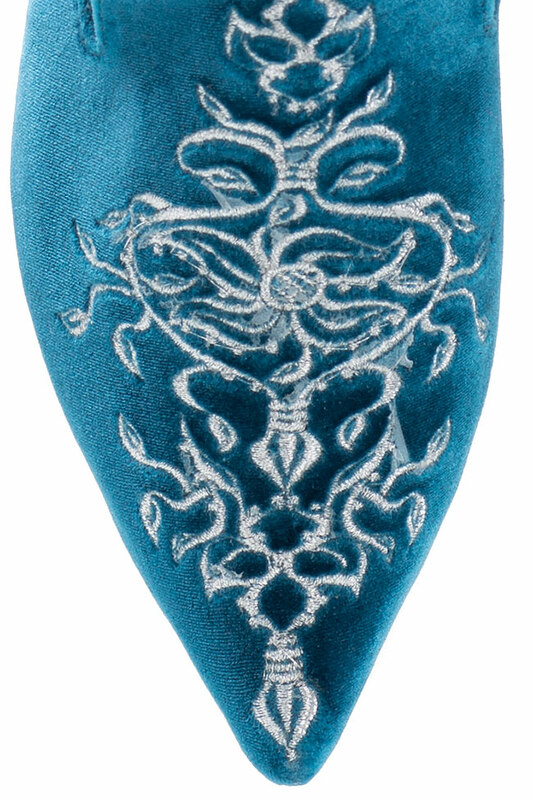 This point-toe pair is trimmed with metallic thread embroidery. 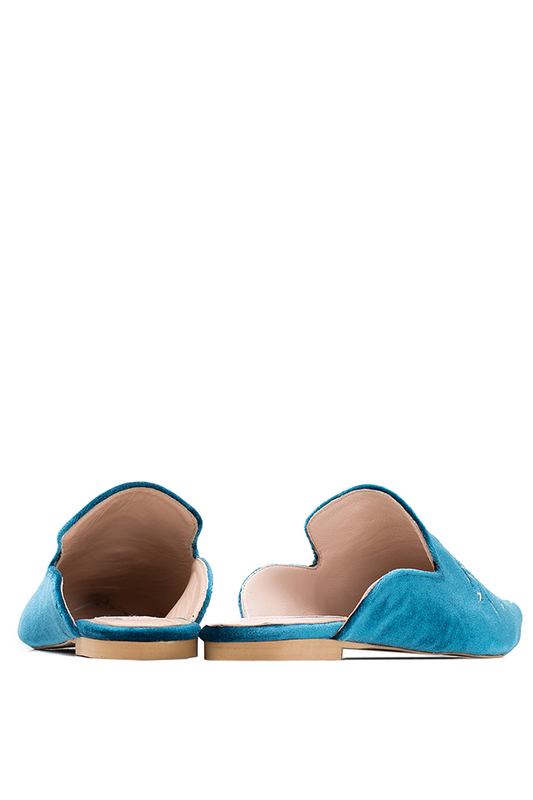 Showcase them with skirts or cropped denim.